"I have found Artisan Anglais to be an efficient and effective company who have provided us with a solid, affordable advertising base from which to promote our company for the last 2 years. The staff are friendly and approachable and respond quickly to any queries. 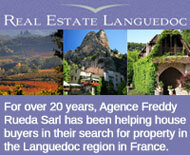 I would not hesitate to recommend Artisan Anglais to any company wishing to advertise within France." Stewart Scobie of SARL Dordogne Renovation.